Beautiful! Tranquil. Spacious. Comfortable. Blends perfectly with the surroundings. Beautifully built. Great location. Short drive to outstanding beaches. Could stay there for ever! Strongly recommended. It is a very nice villa. It has big and clean rooms and beautiful outside view. It is equipped with all necessary things. You feel there really like at home. 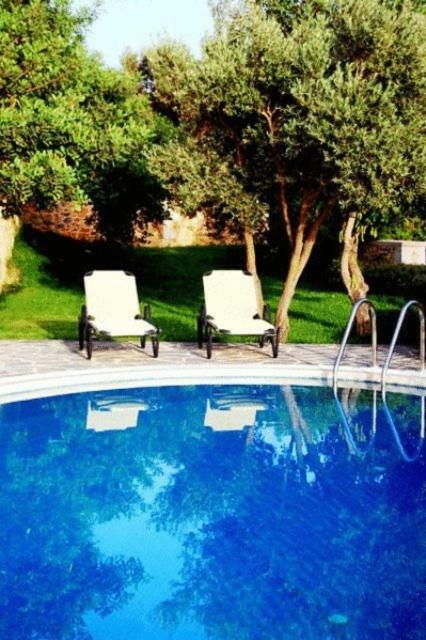 Litiniana Villas is an exceptionally lovely place. Very remote and peaceful. Nikos and his family are very helpful and friendly. You will need a car here. 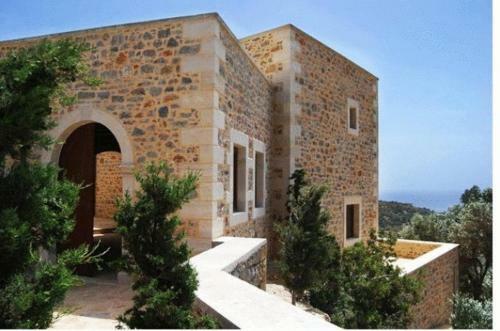 Very nice house, built with local materials and with respect for the surroundings. The house was very tidy, and the whole place well kept, e.g. the swimming pool. The host Nikos was very friendly and a lovely person to talk to. The apartments are well appointed and very spacious. They're clean and offer exceptional views of the surrounding area. The pool is inviting and the architecture of the place really impressive. These villas have been built with an eye to quality which makes it odd that the beds are so terribly hard. And, they offer enough in the way of kitchen utensils so you really can self-cater. There's also a washing machine! 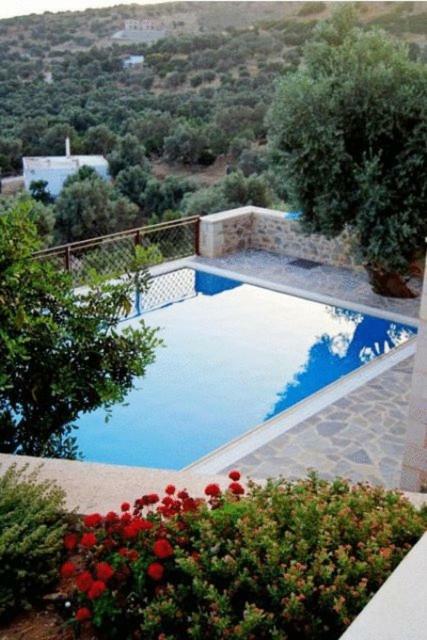 I would think the villas would suit families or groups looking to stay in this out of the way part of Crete for a week or more. The villa was nice, well furnitured, with a lot of available space. The swimming pool was nice and refreshing and the view, especially at sunset, was tremendous. 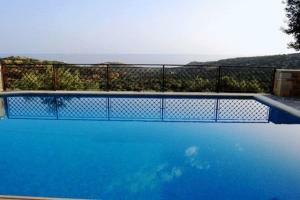 Great villas, nice sea view, nice pool (shared with the 2 other villas). Everything! Architecture, swimming pool, views. Perfect place for relaxed vacation days. Lock in a great price for Litiniana Villas – rated 9.6 by recent guests! 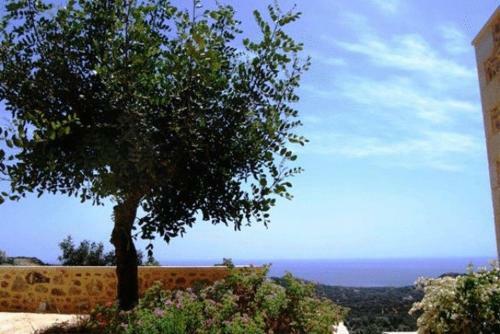 One of our top picks in Triopetra.On the top of an olive grove, 2 miles from Triopetra beach, Litiniana Villas is a traditional stone built complex which offers panoramic views of the Libyan Sea. Litiniana consists of three residences, built in levels following the natural slope of the ground. The villas are set around a common swimming pool and they all have private porches. Litiniana’s apartments are traditionally decorated and feature a full kitchen, a spacious sitting area and a fireplace. They also include a washing machine, a dishwasher, a refrigerator and an iron serving all the daily needs of its guests. 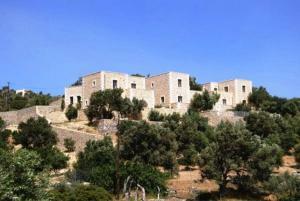 Litiniana Villas are ideally located among tranquil natural surroundings rich in olive and carob trees. From there, guests can explore southern Crete’s numerous unspoiled beaches. 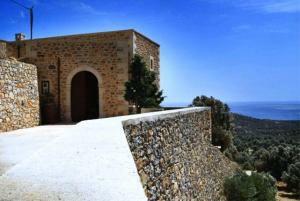 This property also has one of the top-rated locations in Triopetra! Guests are happier about it compared to other properties in the area. 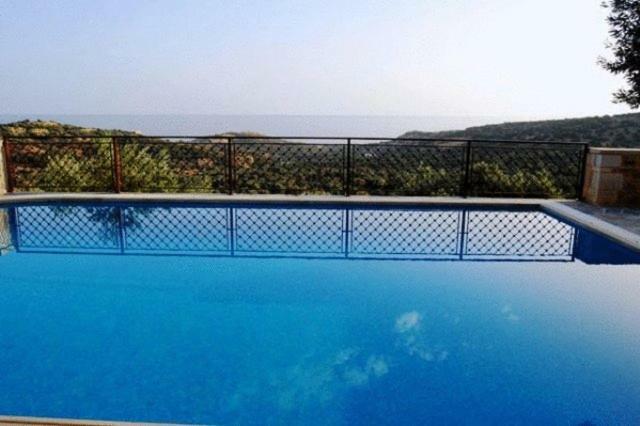 This property is also rated for the best value in Triopetra! Guests are getting more for their money when compared to other properties in this city. 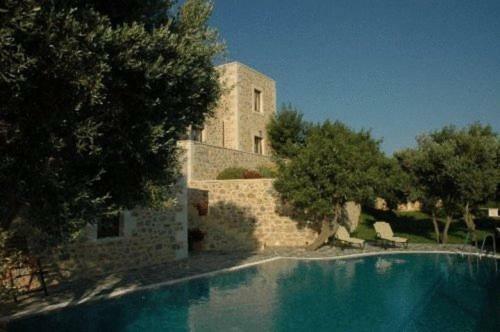 When would you like to stay at Litiniana Villas? This villa has a balcony, kitchenware and satellite TV. House Rules Litiniana Villas takes special requests – add in the next step! Litiniana Villas accepts these cards and reserves the right to temporarily hold an amount prior to arrival. Please inform Litiniana Villas of your expected arrival time in advance. You can use the Special Requests box when booking, or contact the property directly using the contact details in your confirmation. A few minor things only. Can do with better mattresses. Wi-fi was weak and temperamental but that was a blessing in disguise. Outdoors furniture can do with some maintenance. Closest super market 25 minutes drive (Spili or Agia Galini) which was another blessing in disguise! Beauty of house and surroundings. Excellent accommodation in an amazing location! We had a great time and would like to thank very much Nikos for the hospitality! It was a little bit difficult to find villa, but the owner helped us with this. 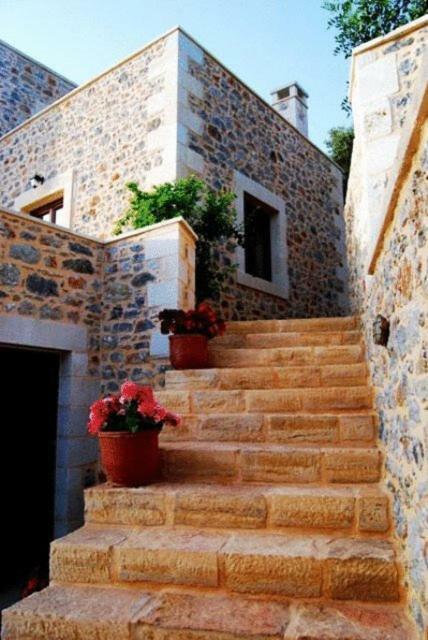 The villas are rather difficult to access. There are two ways of getting to the villas. Both involve driving on unmade roads (a problem if you have a hire car with a no off-road driving clause). One of the ways of getting to the villas is downright dangerous. The track is steep and deeply rutted. Our little hire car struggled to cope (as did we!). This road is just not viable. If not for a helpful couple who we happened upon while trying to negotiate this track, we would have abandoned all hope that anything decent lay at the end of that road. The owner really should provide some information about access to the property to prospective clients so they can make an informed choice. Moreover, there should be some explicit instructions provided to guests BEFORE they arrive about how to access the villas via the less hair-raising route! Be warned that GPS takes you down the hair-raising route. I also found it odd that we did not see the owner at all during our stay. We had to use international roaming to call him when we arrived in order to gain access to the building and then again in order to negotiate how to pay. There was no option but to use credit card under these circumstances. All in all, these calls add to the cost of the place. The last 5-600 yards are unpaved and rough. We could not use the villa's WiFi since it was protected and there was no way to get the password (the owner said it should not come up as protected but it did). We could connect to a second general free WiFi account, but it was a bit laggy and the connection speed was so-so. ---we liked everything, People with small children should be aware, that there is a pool easily accessable and therefor dangereous for small children and also the beach is a"deep" beach! Remote location, not easy to find. Well equiped kitchen but the closest supermarket is 20mn away by car. Plan accordingly! No credit card machine on site. In the morning, had to drive 15mn to the owner's house to pay for my stay. Luckily, it is on the way back to the major road.